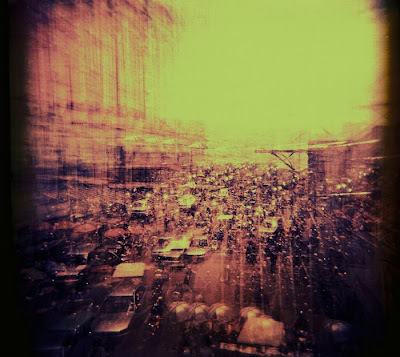 For this competition, The Lomographic Society along with Death & Taxes Magazine want to know what else the future is. Is it the apocalyptic wasteland of all our worst fears, or a world where hope has trumped despair? Is the planet populated by aliens, robots and time travelers? Have we found ways to end our wars, reduce our waste, and fix our environment? What advances will make life easier? What mistakes could set us back? They want to know these answers of course. But They also just want to know what the future means to you. Where do you see yourself in 10 years? 25 years? 50 years? Show them the goals you set for yourself, the dreams you will strive to achieve, and the people you hope will be there when you do. In other words, finish this sentence with a photo: The Future is…. CROWDED!! That's my answer and how in-the-earth I win such a massive competition? I'm so glad,happy and still can't believe with this happy announcement! also I will received Diana F+ Blackjack Special Edition. So this is my photo. This photo will be printed in the November issue of Death + Taxes Magazine as well as being in the Lomography Gallery Store NYC as part of our first ever gallery exhibition show beginning on October 13th. A Lucky Lomographers is destined to take home a Lomo LC-A+ Starter Kit, with your help! Keep your crystal ball gazing eyes peeled for the November issue of Death & Taxes, as all readers will be able to use Mobot – a new technology that gives you access to more content from each page of the magazine through your mobile phone – to actually vote for the winning image!